Several weeks ago, I was approached by local commentator Benita Zahn of Channel 13, to interview as part of an exposé on kratom, a popular over-the-counter natural remedy that has been used for centuries as a mild stimulant and analgesic. Mitragyna speciose known as kratom is an evergreen plant similar is some ways to the coffee plant family which grows naturally in Indonesia, Malaysia, Papua New Guinea, and Thailand. I must say, the attention this got upon release of the initial trailer early on February 2nd was surprising, but the sequalae to follow the full story was astonishing. I received several welcomed phone calls, e-mails, and social media posts from patients and kratom support groups nationwide. While I certainly understand their concerns about loosing a natural drug that has helped them, many of them ignored the potential pitfalls or harm that were reported. Like any drug, kratom has benefits and risks. KUDOS TO THE KRATOM COMMUNITY AND ADVOCATES FOR LOOKING OUT FOR EACH OTHER AND PROMPTING THIS BLOG! Kratom is a natural product, so how can it be harmful. Lots of natural plant products are beneficial in low doses and harmful at a miniscule amount more, and other drugs obviously require much higher doses than their recommended amount to cause harm. Three examples of natural products that have a very narrow therapeutic and toxic index (small differences above therapeutic dose can cause harm or death) include: 1) vincristine and vinblastine from the periwinkle plant, popular to treat various cancers; 2) digitalis from foxglove used to treat supraventricular heart arrhythmias or to strengthen heart rhythm ; and 3) various atropine alkaloids from belladonna (also known as deadly nightshade), the ingredient from berries used by Romeo and Juliet to cause death. Show me one article that proves kratom can be harmful. Dr. Fudin implies kratom is an opioid. It’s not. You can simply Google it, and then look up the definition of opioid. The original definition of an “opiate” is a drug derived from the poppy plant, or opium, that combines with one or more opiate receptors in the body. Opium is a concentrated form of morphine. Kratom is the only naturally occurring non-poppy derived opiate-type drug, but not an opiate by the strictest definition. It combines with more than one opiate receptor including the mu receptors as a partial agonist. Most often, the receptors we refer to are those found in the central nervous system such as mu-type receptors responsible for typical outcomes such as analgesia, euphoria, sedation, respiratory depression, constipation, etc. Semi-synthetic opiates have been renamed collectively as opioids. The semi-synthetics share a chemical nucleus with opium. Some of these include heroin (2-molecules of morphine connected by a 2-carbon chain), oxycodone, hydrocodone, and several others. Kratom does in fact have opioid activity at higher doses because it does in fact combine with mu and other opiate receptors. More specifically, certain kratom alkaloids are partial agonists at the mu-opioid receptor and competitive antagonists at the kappa- and delta-opioid receptors. If kratom is an opiate, why doesn’t it cause a positive urine screen for opiates? This is one of my favorite questions! It has to do with the chemistry. Typically, when a urine screen is performed in a doctor’s office, it is of the immunoassay (IA) variety, a less sophisticated test compared to chromatography. This test is specific for morphine, not all opioids. Drugs that will always test positive for morphine include codeine (which is metabolized to morphine), morphine, opium (concentrated morphine), and heroin (diacetyl-morphine). The semi-synthetics which share the morphine nucleus will only test positive at higher doses. Certain opioids will never test positive for an opiate screen because the chemistry is completely different than morphine. Some examples include fentanyl and derivatives, meperidine (Demerol), methadone, and tramadol. Kratom has a different chemical structure than all of these, and also will not test positive on an IA urine screen for opiates. Just like fentanyl and derivatives, meperidine (Demerol), methadone, and tramadol, kratom require a specific urine tests by chromatography to be identified. To see a picture of what I’m describing, see Chemical Classes of Opioids. Dr. Fudin incorrectly stated that kratom can interact with other drugs and cause agitation, heart attack and stroke. In order to understand why these are very real possibilities, one must understand the pharmacology of kratom. Kratom’s effects are clearly dependent on dose escalation. At lower doses it is a CNS stimulant (working similarly to antidepressants and low dose cocaine) and at higher doses it may do the opposite because the opiate activity becomes more prevalent. At low doses it is an alpha-2-adrenergic agonist with sympathomimetic activity – this is the very same thing that cocaine does, although these activities of cocaine happen at lower relative doses. More specifically, kratom combines with serotonin (5-HT2A), and dopamine type 1 and 2 receptors, and is also a dopamine type 2 receptor antagonist. All of these activities have common pharmacology with various prescription antidepressants alone or combined, including but not limited to specific serotonin reuptake inhibitor (SSRIs) like fluoxetine (Prozac), paroxetine (Paxil), and serotonin norepinephrine reuptake inhibitors like venlafaxine (Effexor), duloxetine (Cymbalta), and atypicals like bupropion (Wellbutrin), mirtazapine (Remeron), and tricyclic antidepressants such as amitriptyline and others. Of important note also is that all of these drugs in their own right have significant drug interactions with various foods and drugs because they reduce or enhance liver enzymes that may increase or decrease blood levels of other drugs that rely on those liver enzymes to be metabolized to more active or less active forms of the parent drug that is taken by a patient. But irrespective of these liver enzyme interactions, combining any or all of these drugs together and/or with kratom could end in agitation, heart attack or stroke simply by layering them on top of each other due to overlapping similar pharmacology. And there are many other drugs used for multiple disease states that are not antidepressants which can also be problematic in terms of drug interactions and toxicity when combined with kratom. One such drug is tramadol with enhances norepinephrine and serotonin, but also has weak opiate activity. Interestingly, one commercial product called Krypton combines kratom with tramadol. Since tramadol has complex metabolism that depends in part on your genetic make-up, it could cause harm or death as seen in Unintentional fatal intoxications with mitragynine and O-desmethyltramadol from the herbal blend Krypton. Some drug interactions with kratom and various “designer drugs” are outlined in Practical Pain Management’s Interactions Between Pain Medications And Illicit Street Drugs. Dr. Fudin either made this up off the top of his head, or someone told him this. Not true – see above. There is no use for using naloxone on a kratom overdose. If you “overdose” you get sick and puke. If someone takes high doses of kratom, we are dealing with two emergencies; 1) noradrenergic overstimulation which can be treated with combined benzodiazepine (alprazolam, diazepam, etc.) to reduce agitation plus beta blockers (propranolol and others) to slow the heart rate and reduce blood pressure; and 2) opioid overdose which can be treated with naloxone to block the opioid receptors. Dr. Fudin, what are your thoughts on keeping kratom and marijuana legal? This is probably my second favorite question. There’s a part of me that believes all drugs should be declassified and legalized in order to eliminate a black market and reduce crime. If people want advice or direction, they can seek professional advice from their doctor or pharmacist. If they want to abuse drugs, they can do that too, because they’re doing it anyway. But as you can see from the outrage among innocent kratom users, many don’t have all the facts in order to make an informed, educated choice simply by searching Google. Another part of me believes that the government should put controls in place to protect the public, however this is not the case with tobacco or alcohol because they are heavily taxed and a tremendous revenue source for the government. Notwithstanding, this past November, FDA Commissioner Dr. Scott Gottlieb, M.D. issued an FDA advisory about “deadly risks associated with kratom”. That may be viewed HERE. I do believe that kratom has incredible potential to be used therapeutically in the right patients as long as they are carefully monitored for medical conditions and drug-drug or drug-food interactions. This is the case with most prescription medications. I have seen much harm and death over more than 3-decades from innocent persons that went to multiple doctors and pharmacies where drug interactions were overlooked just because of poor communication. I have seen similar outcomes in people who purchased bath salts, spice, or other products from head shops or gas stations. I have seen people purchase more common drugs like cough and cold products from a grocery store or gas station that ended in death because of drug interactions that the pharmacist never had an opportunity to evaluate. Perhaps one way to avoid such risks is to have a class of drugs, such as kratom, that are available through a pharmacy and require evaluation and counseling by a prescribing community pharmacist. The true is, I don’t have an answer to the problems associated with kratom but I do acknowledge there could be benefits in a controlled environment where every purchase assured consistency with all the labeled alkaloids and milligram strengths – this is something that is currently missing and adds to the dangers. And finally, “Dr. Fudin is not a patient advocate and doesn’t have his facts straight” at least in my opinion couldn’t be further than the truth. It is because I care that I have taken the time to write this blog post. So, after reading this blog, you decide. Should anyone have access to kratom (save ‘em)? Are you being lured by political and advocacy rhetoric without having all the facts (bait ‘em)? Will you end up a statistic because a drug interaction was missed (crate ‘em)? Nelsen JL, Lapoint J, Hodgman MJ, Aldous KM. Seizure and coma following Kratom (Mitragyninaspeciosa Korth) exposure. Journal of medical toxicology. 2010 Dec 1;6(4):424-6. Neerman MF, Frost RE, Deking J. A drug fatality involving Kratom. Journal of forensic sciences.2013 Jan 1;58(s1). Trakulsrichai S, Tongpo A, Sriapha C, Wongvisawakorn S, Rittilert P, Kaojarern S, Wananukul W.Kratom abuse in Ramathibodi Poison Center, Thailand: a five-year experience. Journal ofpsychoactive drugs. 2013 Nov 1;45(5):404-8. Babu KM, McCurdy CR, Boyer EW. Opioid receptors and legal highs: Salvia divinorum andKratom. Clinical Toxicology. 2008 Jan 1;46(2):146-52. Warner ML, Kaufman NC, Grundmann O. The pharmacology and toxicology of kratom: fromtraditional herb to drug of abuse. International journal of legal medicine. 2016 Jan 1;130(1):127-38. Kapp FG, Maurer HH, Auwärter V, Winkelmann M, Hermanns-Clausen M. Intrahepaticcholestasis following abuse of powdered kratom (Mitragyna speciosa). Journal of MedicalToxicology. 2011 Sep 1;7(3):227-31. Galbis-Reig D. A case report of kratom addiction and withdrawal. WMJ. 2016 Feb;115(1):49-52. You are doing such a great service to the community by providing the important answers to these questions. You may have solved a recent new problem I’m having with heart racing, heart palpitations that make me feel like it is anxiety, but very different than my usual anxiety episodes. I take 100 mg Zoloft daily and started Kratom a few months ago. I was having a hard time deciphering whether it is anxiety or withdrawal symptoms. But after reading your posts that Kratom is like Serotonin – I am therefore increasing my antidepressant dose from what you are saying and can’t really measure how much with the Kratom. I do have a history of depression of the Zoloft was increased to 100mg for pain purpose. What do you suggest one would do in my case since it’s been a few months now that I’ve done this. Also adding that I take Acyclovir as needed and 50 mg topomax every night as well. Didn’t know if either of them would be a concern. The Marketplace made some major error in my insurance application and I am in between coverage at the time, so your information is so awesome. Terry, You should not adjust your Zoloft dose without direction from your doctor – that can be very dangerous, with or without kratom. That said, Zoloft has no effect as an analgesic, but several other antidepressants do. Those antidepressants with norepinephrine activity alone or combined with serotonin could be used to treat pain and depression. See on this website, ANTIDEPRESSANT PHARMACOLOGY. 5-Ht stands for serotonin and NE stands fro norepinephrine. Acyclovir is not an “as needed” drug and should not be taken that way. My son died two weeks ago from an accidental overdose and I received a call today from the coroner. The level of fentanyl in his blood was 48 (mcg I assume, I haven’t seen the actual report yet) and the level of Kratom was 390. Would either of these alone killed him or only in combination? Leane, It depends on if it was pharmaceutical fentanyl or a fentanyl derivative. If it was pharmaceutical fentanyl, it is usually measured in ng/mL. if it was 48ng/mL, that is enough to cause death in several people. The kratom will also depend on the units (mcg, mg, ng) per mL or per L.
I hope this note finds you well. I have a question that I’m hoping you can help answer. How long does it takes for kratom and the metabolites to clear the system on a urine drug screen that includes Kratom? I have been prescribed hydrocodone (10 mg) 3x times daily for about 3 years. I have taken it as prescribed with no issues. My doctor recently retired and my primary physician referred me to a pain clinic. I had my first appointment and it went well. The doctor is compassionate and understands my pain. I was really anxious about having to go to a pain clinic and was worried that the meds would be discontinued because of the current opioid climate. I was afraid I would suffer withdrawals because I know that I’m physically dependent. Awhile back, while visiting my dad in Florida, a good friend of my dad’s shared that he uses Kratom, a “natural herbal product for pain”, and it really helped him (I had shared my concerns about my prescriptions and dr. retiring). He said he was completely off of painkillers because of Kratom and it was completely natural!! Anyway, I tried it while in Florida and he sent me home with some. I used it for a couple of months on and off, but I didn’t think it helped much and I just felt a bit nauseous from it; and so, I decided to stop using it and got rid of it. Anyway, I had my doc visit at the pain clinic including the urine test that gets sent out to an offsite lab (I’m sure it’s a thorough test), and It occurred to me that they could very well test for kratom. After doing some research on Kratom I’m very concerned about it showing up on the test. I should have thought about it sooner, but truly it never crossed my mind. I take my meds as prescribed and do not abuse or misuse. I took Kratom for the last time two weeks before the urine test, do you have any thoughts about the likelyhood of it showing up? I didn’t even know much about Kratom or “metabolites” other than it appeared to be a safe alternative, but now I’m worried because it seems to be a questionable substance. I just never really gave it much thought because he bought it at his local store. And to make matters worse, I just learned it is illegal in this state—I can’t believe it! I gues I never thought a drug could be legal in one state and illegal in another, unless it was illegal everywhere and then states overturned it (like marijuana). I’m just sick about it. One more question, would you advise that I contact my new doctor to let them know? I’m just so worried that the physician (new doctor, new clinic—no experience with me other than this and review my medical records (doesn’t really know me) will think I’m not compliant and lying, when I really have been …at least I thought I was. Thank you for reading this note, and I would be so grateful for any insight you may have. Teri, Kratom has a half-life of about a day, so it should be out of your system within a week. Thank you for reading and taking the time to respond. I appreciate it. Have a wonderful evening! Jessica, I am not clear on the question you’re asking. I have taken herion kratom together is their any effects to taken the both together or will it cancel the effects of it bc I got cut off my pain med bc of a false positive so I turned to street drugs for pain but trying to get away from them? There are several risks of using street drugs with or without kratom. heroin is often aced with other drugs. If your supply is laced with a stimulant (cocaine, amphetamine, bath salts), combining that with kratom could cause a heart problems and sudden death. If the heroin is combined with fentanyl, it could result in opioid overdose and death. The safest thing for you is to get to a rehab facility!!! I am curious about the interaction between Kratom and methadone. I have searched everywhere for this kind of information and have found nothing. Is it dangerous for someone who is prescribed and taking the same daily amount of methadone to try Kratom? Would the addition of Kratom cause the effects of the methadone to be stronger or cause an opiate overdose? Or would the methadone cause the Kratom effects to be multiplied. Just trying to be as safe as possible. Please help. Also curious if if Kratom interacts with suboxone the same way as typical opiates. Danny, Unless you took high doses of kratom, the opioid effects from kratom would be minor compared to methadone but could be additive. I bigger concern is seizure risk because kratom increases serotonin, norepinephrine, and dopamine, and methadone has a significant effect on serotonin and norepinephrine as well. If you’re looking for the “energy” effects from kratom, you ca get the same thing with and SNRI by prescription without the opioid effects – that would be safer, especially since it would need to be prescribed by a medical provider and can be properly monitored. Thank you so much. Just to follow up when you say high doses do you mean more than the general guides of Kratom dosages or do you mean enough to be past the “energy stage” and into “pain relieving stage”? And would 24 hours without methadone be long enough to reduce those risks of seizure to try Kratom? Once again thank you very much everything I’ve read on this page has been so valuable. When I say high dose, I mean anything more than the label states. For methadone, it takes about three weeks to be out of your blood, so 24 hours will not do it. Assuming what you say is true, the only way this could happen is if the lab equipment was contaminated. You should ask your doctor to contact the lab to see what samples were run just before yours. Did the test confirm that oxycodone was present? Maybe the staff mixed up 2 patients samples and it went unnoticed by everyone. Always make sure the specimen container you are given is labled properly for you. It should be caught by the staff but another pair of eyes never hurts and human error is common. From reading message boards regarding Kratom, it appears that there are a lot less complaints from 2017 to now Jan of 2019 and that there are actually some quality people (companies) selling it now with brands made specifically for pain, sleep or energy. I am suffering so incredibly bad from pain that I am considering purchasing this. If I die, well – that may not be a bad thing. I have been prescribed back to 15mg of Methadone, but honestly it just doesn’t cut it so I can do simple things like go to the store for groceries or even standing to cook, I now go and sit down just to peel potatoes as it is more comfortable than standing. I feel like my life is being wasted as I know I could have a chance at contributing to my community in many ways if I could just work. I have never considered ending my life so seriously as I just cannot find a comfortable position. I would go to Washington to protest but the pain prevents me from doing this. Just received a letter from my pain clinic stating they are no longer accepting Medicare/ Medicaid so now they just put me back on Methadone and now I am getting kicked out because of this. Real healthcare just doesn’t exist. I just want to thank you for all the information you provide here. It’s truly invaluable. As someone who is prescribed the lowest dose of both Cymbalta and Wellbutrin, would I be at risk at consuming any amount of Kratom? I’d rather be safe than sorry! John, Taking kratom with these other drugs increases your risk of seizure, serotonin syndrome, and possible heart palpitations. It is a very bad idea. Hi Dr Fudin – A doctor got me HEAVILY addicted to Oxycontin in the Philippines while I was petitioning my wife here to the USA. I am referring to the bad stuff that was outlawed in the USA (not oxycodone “Oxycontin,”) which i know you know about already. When I got back to the USA and started withdrawaling I had no clue what was happening as no one ever told me that after I stopped I would sufferer through withdrawal. Boy was I nieve then, I was in so much pain I thought I had a kidney stone or food poison. Then after many trips to the ER another doctor here prescribed me oxycodone which helped but was the start of 5 years of pain then withdrawal over and over again until I finally told my doctor NO MORE. He then started me on methadone and my life has gotten so much better! I went from 6 pills a day down to 2 a day currently in only one year and i feel great! However i heard of Kratom last week and got some as that seems like what I should and want to take if it works as well as methadone for my pain. As hard as it was to not take my 2 methadone tabs for 24 hours I did it so I could try Kratom and It worked great! So this is my question, I am now feeling a withdrawal from the methadone. What do i do? The methadone obviously works better like u stated above for my pain because of the binding of our MU receptors which methadone does ONLY. The Kratom however makes me feel so much better and gives me energy. Based on what you said and explained about our MU receptors and how methadone bonds to them i feel I am doing the right thing as methadone was what FINALLY put a stop to my chronic pain for the first time in 20 year’s. So should I keep taking my 2 pills of methadone as I have a pain problem? I NEVER had an addiction problem until I had to move overseas to go get my wife and unfortunately met a GREEDY doctor. I over came my addiction problem without even having to go to rehab and it is really not a problem anymore. The chronic pain in my back and legs is the problem. Like you stated methadone is WAY stronger than Kratom. Kratom worked but not as well and that’s where my whole question lies. Is it safe to take my 2 methadone pills and 1 or 2 Kratom pills later in the day as a way to beat the mild methadone withdrawals i just experienced when trying kratom? Or should I just stick with methadone as I feel like based on the MU receptors, Kratom is just not going to fight my pain like the methadone has so well. I just turned 40 years old and would really like to NOT have to take methadone anymore but it is THE ONLY thing that has ever worked for my pain and I have tried every kind of pain pill I think. I have scoliosis, rumitoid arthritis in my hands, ostio arthritis I believe its called in my back, 2 protruding disks in my back (L4 & L5) and 2 building disks also (L1 & L2). I also have real bad nerve damage on the left side of my face mainly my upper lip from a car accident. Up until I found methadone I thought my quality of life was over. Now I am doing so well but still I am taking opioids. Is it ok to take a small dose of methadone for my pain as needed for the rest of my life or would getting off the methadone (I have been on it for one and a half years) and taking kratom instead be better if I can make the switch and it continues to fight my pain well? Thanks so much for this blog and for ALL your GREAT INFO! THANK YOU SO MUCH Dr. Fudin!!! Thank you for your comments. Whether or not you stay on methadone is between you and your doctor. If your doctor is specifically prescribing methadone for pain, you can discuss with him/her whether it could be beneficial to take the same daily dose split-up throughout the day instead of the whole daily dose at once. Although methadone stays in the body’s tissue for long periods of time, the analgesic activity often does not. If kratom is helping your energy and mood, and you are on low doses, more likely than not it is because of kratoms activity on serotonin, norepinephrine, and/or dopamine. As outlined in my post, there are antidepressants that have one or more of those pharmacological activities. It might therefore be a better option to replace kratom with one or more antidepressants – this too should be discussed with your doctor. I hope this helps! It is not true in any state that doctors can’t treat pain with methadone for chronic noncancer pain. Nucynta (tapentadol) is much better on the stomach than hydrocodone. you can discuss that with your doctor. I would stop the kratom. However, the laws are so strict that many chronic pain patients would rather Kratom than go through going to dr every month and being subject to drug test which could come back with false positive which is my case. I’ve been seeing this dr for 3+years and now I’m told that fentynal showed up on my drug tests last few tests. I don’t take fentynal, couldn’t find a place to get it if I tried and the dr knows I haven’t had it prescribed by someone else. What could be causing this, kratom? I took triazodone one month for an earache so I could get some sleep. I need to know what would cause this because I haven’t taken fentynal. D, Nothing should cause this, but I don;t know what sort of test your doctor did. Ask the doc to order a chromatography test which is close to 100% accurate. Roberta you can go to a methadone clinic, if you have state insurance it might be free, they will prescribe you methadone and you can be in charge of your dose, they monitor you so you go up at a safe rate but if your doctor won’t treat you you can absolutely get methadone there. I go and I don’t have cancer or anything but am just in opiod addiction treatment. Tried to reply to D Flock asking about testing positive for thisis in response to your previous message about testing positive for fentynal. I to have test positive for fentynal and i only take kratom. Having it sent off for additional testing to prove that its only kratom. Kratom is being used as a herbal alternative for medical treatment. If it is taken with proper instruction and limited dozes. Kratom can be an addiction if one is taking more dozes. People who have used low doses generally report having more energy, being more alert, and feeling more sociable. At high doses, kratom has been reported as being sedative, producing euphoric effects, and dulling emotions and sensations. Dr. Fundin, you had mentioned something along the lines that kratom can act similar to an SSRI and I read something about serotonin. Anytime I hear that I freak out a little bit because I have suffered serotonin in the last. Are there any risks known for kratom to cause serotonin syndrome? Not generally if taken in recommended doses, but the problem is that the FDA doesn’t control the purity of these products. The risk of serotonin syndrome is significantly elevated if kratom is taken with prescription antidepressants, tramadol, St. John’s Wort, quetiapine, or any other drugs that affect serotonin. I understand the need for caution with regard to using Kratom and I know that it’s definitely a drug, but my options to have some quality of life are very limited. I have cauda equina syndrome from a botched spine surgery. I had terrible pain from my crushed nerves but my surgeon decided that my repeatedly asking for pain meds was because I was drug speaking. He ignored all my red flag symptoms (I had all of them) for four days. To treat the relentless neuropathy, I was put on massive doses of gabapentin (3600 mg/day), which left me stumbling like a drunk so they switched me to Lyrica, which was an awful drug. It basically shut off my personality, I stopped feeling emotion, I wasn’t able to remember even the most basic facts I had read or heard, I didn’t care about anything, and I lost my ability to think rationally. After about six months, I couldn’t stand being a brain dead zombie so I asked for help weaning off Lyrica. My pain management doctors told me to talke one 100 mg capsule less every few days (I was on 400 mg/day) until I was off of it in a couple of weeks. By the second day of my first taper, I thought I would lose my mind. I was having panic attacks lasting hours, racing thoughts, and felt like I would crawl out of my skin. I told my doctors that the withdrawal was intolerable and they all told me that there is no withdrawal with Lyrica and I was making it all up. I had to beg to get a prescription for a lower dosage capsule so I could taper in smaller dosages and then I was on my own. It took me four months of absolute, complete hell. I didn’t sleep for days and then would sleep for a day and a half. I pounded my hands bloody on the wall because of the agitation. I begged my doctors for help but they dismissed everything I said. I realized afterward that they just didn’t want to hear that their main non-opioid pain medication had serious side effects, especially the department head who had at least a half dozen publications praising the efficacy of Lyrica. All these doctors literally watched me psychologically disintegrate and did nothing to help. I told them I was going to kill myself including a description of my suicide plan. They all ignored me or dismissed me. One doctor told me to stop wasting his time. After my suicide attempt I didn’t tell them because I knew they wouldn’t care. Compared to Lyrica and even gabapentin, Kratom has minimal side effects and I really have no other pain treatment options. I have no trust left in doctors to be willing to risk trying Cymbalta or a tricyclic for my pain. I know that if I developed any problematic side effects for which both are notorious, I’d be completely on my own and no one would care nor help me. I know that I don’t have the strength to crawl out of another Lyrica type darkness again. Even if Kratom cuts my life short, it’s far better than being completely incapacitated with relentless neuropathy knowing that it’s utterly hopeless turning to doctors for help and that even if they want to help, I’m stuck with these terrible meds. I’m terrified that the FDA will outlaw Kratom and I’ll be forced to live in off the chart pain until I give up, walk back out into the woods, and pull the trigger all the way this time. I have terrible diabetic neuropathy, gabapentin nor lyrica would help. I too was on 3600 mg gabapentin for 2 years then tried lyrica for 2 months with no help from it. I decided to go to a methadone clinic for opioid addiction treatment (I didnt have an addiction, but I needed relief from the pain. It helped! The pain was gone, finally. It’s been a year and a half now on methadone and the pain is still gone and hasn’t come back. I know I’m now addicted to methadone, another opiate but the treatment center will help wean me off when I’m ready. Hope this helps! Ps… I was ready for my life to be over as well! Thank you so much for the note. It’s always great to hear from young graduates who will carry the torch moving forward! I applaud your professional opinion on Kratom. Thank you. As a professional rare disease and pain advocate for more than half my adult life closely affiliated with health and human service NP’s for just as long and as a nurse for nearly 4 decades, and a lifetime CPP, the resounding repeated theme I continue to hear is CPP’s have been and are left suffering in agony because of tapered prescription opiates and the advancement to none. Victims of the so called “opiate crisis” they are not responsible for causing. These constituents have often typically been opiate maintained for many years. I hear from the CPP’s with CRPS, a host of rare diseases associated with crippling pain, those with FBS, PN, RA, MS, malignant pain and a litany of other horrendously painful diseases/_disorders, pain from trauma. Specifically. I am referring to many CPP’s I have come to know well through their pain journeys, met many in person. , but rather, recognizing that by the time most CCP’s have come to a pain practitioner for consult, they’ve already run the gamut of multiple treatments, often surgical interventions, etc. which has not been successful in managing their pain. All this respective pain population hopes for is a reasonably functional life with an “acceptable” pain level and a semblance of life quality. The Regulatories have robbed this population, denied their med access. I believe the take away here can be summed up by stating “Many CPP’s are living in agony now, unable to function, left with no quality of life because they no longer have access to the legal meds which were successful in managing their individual pain circumstances. When pts. are left suffering, understandably, they’ care not what the financial or physical hardships, just “tame the PAIN and suffering.” It’s understandable these are pts. willing to take a chance, try anything for relief. If It’s legal, they’ll take a chance, if it works for their pain, they’ll continue that treatment course. If it doesn’t, the only remaining alternatives are to either resort to the streets and risk the strong possibility of grave consequences or, resort to paying the ultimate price…and permanent solution, suicide. Overall, the infinite depth of frustration, incompetence, irresponsible guidelines from CDC which have spread like flesh eating bacteria to other Regulatories, to the qualified, legit. pain practitioners, onto their CPP’s has been over the top, appalling. Most once pain managed, legit. opiate maintained CPP’s by and large do NOT fault their pain practitioners for the tapering and eventual discontinuance of opiate therapies. Most CPP’s do understand their practitioner’s have become “strangled” by state laws, by the CDC, FDA, DEA, bigots, politicians, the climate of the “opiate hysteria.” CPP’s are well aware pain practitioners practices have been and are continuing to be driven out of practice, dome have been shuttered. The NP’s and MD’s whose specialty has been/is pain management routinely voice their fear of the DEA. This should not be the case for these individuals who are well qualified, responsible, capable, totally legitimate, compassionate professionals. They should be allowed to practice in the specialty of pain, which they chose. The only people who should be involved in directing and managing the CPP are the CPP and their pain practitioner and whomever else the pain practitioner may suggest for adjunctive collaborative efforts to aim for the best possible pain relief for the patient. “Googling” to fish for medical info. is no substitute for the years of education and experience of licensed health professionals. I know someone who yrs. ago suffered frostbite to both feet. She had been outside for an extended period of time, initially she had no idea she had developed frostbite. She took a hot bath immediately upon returning inside, went to bed, awakened from terrible pain a brief time later. She resorted to the internet having googled “frostbite treatment.” The site advised rubbing the affected areas with snow! !This person is an intelligent individual. Fortunately, she did not follow this disastrous treatment recommendation, instead consulted emergent medical care. Imagine the additional permanent tissue death had she followed Google’s site treatment. Kratom obviously needs considerable research. I believe users are setting themselves up for “risky business” at this juncture….The fear of the unknown is scary. 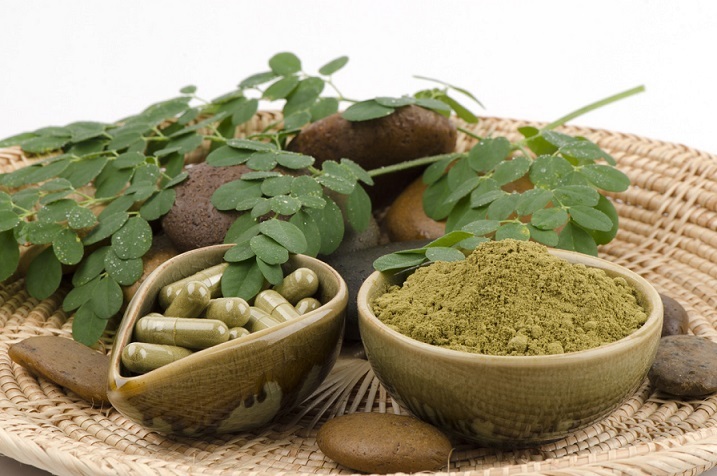 Would you say that kratom is relatively safe for people who aren’t taking any other medications? Could the risks be handled by educating people about what foods they should avoid? Lindsay, Thank you for these very reasonable questions. The answer to both are YES. But do keep in mind that there are no controls on potency if kratom from batch to batch, so the doses may very within and between brands. To expand on what Jeff notes, GF, even if we educate patients on what to eat and not eat and medication interactions…compliance isn’t always particularly good. Look at MAOIs – very effective, but they’ve proven deadly to the point that they’re rarely prescribed at this point. Sir, you assume we dont oay attention to the “potential hazards” of Kratom. That is an uneducated guess on your part. Ths science behind Kratom has provem the risk level is low if not zero. As with anything in life moderation is key. I am a Gulf War vet and s left leg amputee. My oain is costant. Kratom manages my pain without the need for the real culpret, opiates. Can you share the “science” that “proves” that the risks associated with Kratom are “low if not zero”? Please understand that as Editor-in-Chief of the Journal of Pain Research, my idea of what constitutes “proof” are likely to be scientifically rigorous. But I’m always happy to learn. You sir are wrong,look at your spelling in your post? Opiates for chonic pain caused by diseases is only one of the drugs used to keep these patients walking & able to take care of their families.You should know better than to go along with government dummies, they are hurting vets as we speak by with holding medications! His spelling is fine just hit the wrong letter but he knows how to spell. I agree with him that the risks are low to zero. I have taken it for about 3’years now and never have experienced any bad side effects. It’s just another way for the government to make illegal. Chronic pain patients have suffered through this opioid epidemic. The only people being controlled by the new laws are patients. Addicts can get their opioids anytime on the streets from Mexican herioin and fentynal, after the strict laws were passed, the epidemic grew and many more overdoses. Can’t understand why congress doesn’t realize this and pass better immigration laws. Now they want to take away kratom which is not even close to the dangers of methadone, along with suboxone seems to just be another addiction, which allow big pharma to get wealthier if kratom becomes illegal. What I think is that if we are willing to move past semantics we have a potentially very promising product with the potential to help a lot of people but it is not candy, it is not coffee, and it should not be sold via vending machines or to children. It is also a lot more promising than proven and the data is in its infancy versus its competitors used for pain relief or opioid maintenance. I wish this were not so and that we had data for kratom like we do for medical marijuana but the reality is we do not. If you want to join the conversation about my article, the OpEd based off of it, or the Dr Oz Show on the topic, I am happy to entertain your comments on The Conversation site. https://theconversation.com/the-dangers-and-potential-of-natural-opioid-kratom-87581 I think if you read through the comments, you will see it was quite a good discussion between many people around the country and I on this complex topic. This includes a discussion about whether or not kratom is an opioid or not. Ultimately the determination is one of convention and disputing it may make for good marketing but is nothing more than semantics. In healthcare, drugs that stimulate opioid receptors are opioids and two constituents from kratom do stimulate opioid receptors. The stimulation of these opioid receptors does not cause respiratory depression in animal studies however and in human anecdotal experience, there should be a lot of bodies piled up if it was a potent respiratory depressant which we do not see. Having said that, saying that kratom is impossible to overdose on or that it is impossible to hurt or kill you because it causes stomach upset and vomiting is inaccurate. Either directly via overdose or as a result of drug interactions (which needs to be part of the risk benefit profile) there are reasons to believe that it can cause serious adverse events and until better conducted larger trials are conducted, the full incidence or extent of these harms cannot be known. Simply hanging your hat on a low incidence of adverse events versus consumption numbers is dangerous because if it is not in the national consciousness, especially among health professionals and law enforcement. As such its ties to other cases of injury cannot be made. It is not detected upon routine drug screens in the United States. We do need much better data in order to make evidence based decisions. Should it be made a DEA Schedule I drug, I do not believe so but I also believe it should be more controlled than it currently is. I do feel for the people are using it and believe that it helps them or people without access to other options they find effective. It can be a scary time for you. Your feelings and concerns should be a part of this discussion. Having a large number of people move onto illicit heroin or fentanyl based products which can cause respiratory depression is certainly not prudent at this juncture for them or for the country. The legal route to achieving more control without a ban will be very difficult for kratom based on how the current laws are structured but I am confident that if we can have an open conversation about it and the average person can hear the current pluses and minuses, a reasonable middle ground can be reached. As a final thought, I know Dr Fudin and his work with pain patients pretty well and I have always been impressed by his caring when helping people struggling with pain issues and willingness to try to new things. I am very interested in the dual nature of Kratom in that it has both opiate properties as well as those of an opiate agonist? If this is the case, is that also not the way the drug Suboxone was designed as a treatment for addiction? Could this explain why so many people claim it is such a valuable alternative for withdrawals and for maintanance after? I also want to thank you for the informative blog. During this time of crisis within the government, as well as both the CPP and the drug addicted community, good scientific information is so valuable. R, There are some similarities between buprenorphine and kratom. Both are partial agonists at the mu-opioid receptor and competitive antagonists at the kappa and delta opioid receptors. the major difference is that buprenorphine has much higher binding affinity for the mu receptors compared to kratom and in fact at moderate to high doses buprenorphine cannot easily be reversed by nalaoxone for that reason. And in the meantime we die. But who cares? I care. That’s why I wrote this. A little better even though the damage is more or less done when you go on TV and throw out words like heart attack, stroke, and respiratory depression. You are still not providing any evidence or support of a kratom only death. The public would be served better with regulations and guidance on drug interactions but this ban the plant completely is non sense. You have already added fuel to the propaganda driving the desire for a all out ban. A blog post after getting called out for spewing nonsense on TV is really not going to cut it. Spot on. The Dr. claimed that kratom can cause death and respiratory depression which is not at all true. Unless mixed with an illicit substance and/or prescription there have never been any deaths due to kratom. This story did damage to the work that the kratom community has done to educate the public about the reality of the leaf. The FDA and DEA (heavily fueled by big pharma) have gone on a fear mongering rampage spreading misinformation and lies about a leaf that is as safer than any pharmaceutical substance. The Doctor needs to own up to the damage that he has done by using his position to spread lies created by the FDA and DEA. Either he was totally ignorant and just spewed all of this becuase he didn’t know better or he is educated and chose to lie about it. I saw on facebook that he had been given links to the research on kratom last week but then claimed that he wasn’t aware of the 8 factor analysis or the research by University of Florida. That, in of itself was a lie as I saw it on his page. From what I can gather, Pain Dr wants to keep his patients coming back for more prescriptions and away from a botanical substance they can treat themselves with. A blog post is not enough to fix this. Pain Dr. is a Pharm.D. and a pain educator, and doesn’t currently get paid to treat patients. He is widely considered one of the leading pharmacologists in the world, and dedicates a lot of his time, pro bono, educating patients. From where do you critics have your doctorates? Are you trained to critique the research that he cited? This is what Dr. Fudin and I would call “Kratom Neuromysticism”, i.e. you want it to be true, so you “make it” true. #Pathetic! Dr. S, while I normally agree with you, and I know you have great respect for Dr. F, but discounting the abilities of people to interpret research papers based upon lack of formal credentials is insulting. It’s not difficult to identify logical fallacies or incorrect causality. I’ll admit, there are without a doubt nuanced techniques for true analysis, but just because a paper is published in a journal doesn’t make it sound science. You know that, you’ve seen some of the Opioid Hysteria papers. You’re right, GB: Publication in a journal doesn’t make something true, as there are a lot of terrible-quality journals out there. However, my dear friend and colleague, Dr. Fudin, is smart enough to separate out the bad research from the good, and I’ve never seen him cite the bad research in order to prove a point. Again, thank you, Jeff, for your insight into Kramtom. P.S. Dr. Schatman- You are spot on in your comment. I could not agree more. Thans! Again, thank you, Jeff, for your insight into Kratom. P.S. Dr. Schatman- You are spot on in your comment. I could not agree more. Thanks! Susan, Thank you for your comments and sorry for the late “post”. For some reason it went to the spam box. I too believe there are attributes to kratom but we need to get a better handle on doses, purity, consistency, and toxicities. But perhaps most importantly, people taking it must be well-informed about potential for drug interactions. This nonsense by advocates that there is no harm or it hasn’t been proven to be harmful is a recipe for disaster. After all, aeronautics engineers haven’t studied that jumping out of a plane without a parachute ends n death – we just know it because of the science (and a little common sense). I would expect a little more appreciation from these groups for telling the truth in the original post and taking the time to explain the issues. Thank you to Dr Fudin for the article. But especially, thank you thank you thank you Dr Schatman for your comment. I’ve just gone through a bout of insanity that is very well explained by Kratom Neuromysticism! I was tag teamed by the Kratom Krew. No neutral or negative comments about kratom are allowed to be entertained, in fact no questioning. You are only allowed to say it is a miracle or else you are a horrible person, the worst the world has ever seen. I honestly felt like I was talking to a group of kindergarteners about the existence of the Easter Bunny and Tooth Fairy. This is exactly it; i.e. you want it to be true, so you “make it” true. #Pathetic! People, pain management patients are FORCED to use a substance, any substance that we can “legally” acquire to manage pain……now. I prefer to not use alcohol, tobacco, an even the “legal” kratom but, 80 percent of medication that I have RESPONSIBLY used, been prescribed for 23 YEARS has been forceably removed from my overall health care, and specifically…….pain management. I realize that it is NOT FDA approved but, I would rather use kratom as to end my life. The hypocites in DC do not even realize what they are doing in the fight against the “opioid crisis”. WE, the pain unmanaged patients KNOW that even JEFF would smoke a joint to reduce pain. He would stick a joint in any orafice and inhale if it would recue lifetime, incurable, un managed pain. He may even use an illicit substance if he did not have PRIVILEGE to get whatever he needs for pain mange,ment. Don’t get me wrong, I could not wish lifetime pain on anyone, no more than I wish to see a grieving family over a members drug overdose. The “opioid crisis” IS being addressed completely wrong as millions of patients are negatively, deadly affected with CDC “policy” Hayden Hamby Jr.
What you mention there about the pain unmanaged. That part struck me, as a personal experience I’ve had and continue to have. I have pttd. It’s a foot issue, anyway I dealt with it for months then I was finally sent to a foot dr. Then I had to wear the braces, and what not. I’ll add I’m a shop supervisor and I also work on machines and start them up. Basically my day consists of walking around for 8 hours sometimes more. Definitely not the ideal job for this particular issue. Anyhow I felt weird asking my dr to begin wit but I needed something for pain. He was really reluctant and finally gave me Tylenol with codeine, didn’t hell at all. Next he tells me tramadol is the most he can do. He tells me that the I don’t remember some agency looks into dr giving patients stronger stuff. The whole time I’m thinking and your point I have excruciating pain. So I try the tramadol and nothing, he tells me to double what I’m already taking, again nothing. I finally get to my surgegy after two and a half years and the issue I have was supposedly due to extra bone so they didn’t have to take tendon from my calf area for my foot. Now I’ve got some kinda metal plate and block and screws in my foot. My heal was also cut to adjust it to be more straight. Problem is I’m still having issues. They put me in a walking boot for a bit then told me to get some special insoles. Still nothing helps. Now I’m waiting on an appointment to get a specialized shoe. Anyway to bring this to the topic at hand. Since the Dr’s were of no use of actually helping me with pain I turned to the “street”. The thing about this is buying pain relief like that just got real expensive. I’ve recently been turned onto kratom by someone and honestly it does give off pain relief. It worked better then anything the Dr’s were willing to give me. So in cases like mine I hope they just leave kratom alone or just legalize it to regulate it better. People like me where the Dr’s won’t do anything for you are left with very few options already.